StowAway2 MAX Swing Away Hitch Mounted Cargo Carrier , Truck & Car Racks from Proline: Thule Racks, Yakima Ski Racks, Bike Racks Canoe and Kayak Racks Cargo Carriers and Truck accessories. 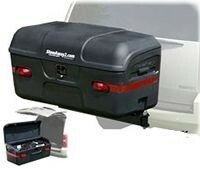 Stowaway2 SA024.3 MAX swing away hitch mounted cargo carrier box. Swing away frame with 5 inch rise.